Little Buttons With A Big Message! Get ready! Its coming!! On October 20 at 10:20 a.m., thousands of British Columbians will practice how to “Drop, Cover and Hold On” during the 2016 Great BC ShakeOut Earthquake Drills. Organizers say 690,000 B.C. residents have already registered to join about 25 million people around the world in taking part in the drill. The drill is designed to raise earthquake preparedness in British Columbia because of the risk a major earthquake could strike the province at any time. 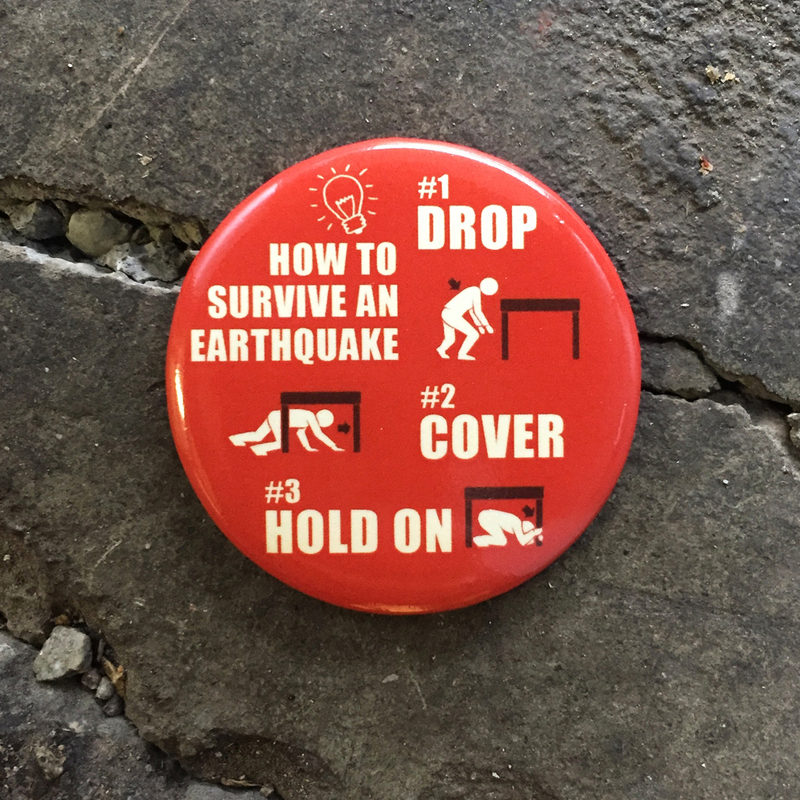 Six Cent Press took on the task of suppling the BC School Board with 1,000’s of How-To-Survive An Earthquake buttons as a wearable educational tool for the students, teachers and their families.